Happy New Year! 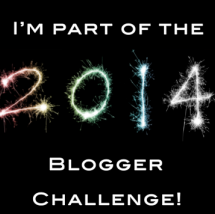 As I have posted previously, I joined the #2014BloggerChallenge and the first January prompt is New Year's Inspiration. The last time I wore this dress was for my birthday the year I turned 27. I want to be able to fit into this dress again and look HOT in it for my 33rd birthday this year. While I have lost a little weight and have made strides toward living a healthier life in 2013, I intend to go full force toward this goal. The year I turned 30, I had a goal of 30lbs in my 30th year. Well, two months after I turned 30, I found out I was pregnant with Cecily so that went out the window. Now I have a new goal, 32 in my 32nd year (although if I lose more than 32 lbs that's ok too!). Taking back my health is a top priority. I know that it will only get harder and harder the older I get and I have some hereditary factors against me so this is something I not only want but need to do for myself. I intend to be around a long time with my husband and children! Thanks! I'm excited for this challenge! I have no doubt you'll be fitting into that dress in no time! 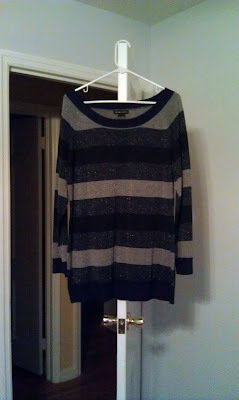 If I could use 35 pounds this year I'd be thrilled! I can't manage to lose 10 though so I doubt I'd be able to lose 35. Thanks for sharing this as part of the challenge. Good luck with your goal. If you need to communicate via email or anything to stay accountable for anything just send me an email I'd love to help out in anyway I can. I can't wait to continue to read your challenges. Have a wonderful day Happy New Year!! I better be! I have gotten rid of a lot of my old clothes but I can't get rid of it because I love it so. wow, that is impressive! I want to try paleo but I'm just not disciplined enough. You've so got this - your kids are a great excuse to exercise anyway :) So excited for you! That's a great goal to have!! You can do it! Make sure you keep us posted. Great inspiration!! You can do it! I know! I cannot wait until it warms up a little so I can go on walks with them through the neighborhood again. I keep a weekly tally of weigh ins on my weight loss page, but I intend on writing a post here and there about my progress. Good luck in achieving you goal for 2014- I believe you can do it! Wishing you and your family a happy and healthy year!! Way back when I did Weight Watchers, I used this web site that would show you what you'll look like as you lose weight. It was pretty cool. I'll have to check that app out!